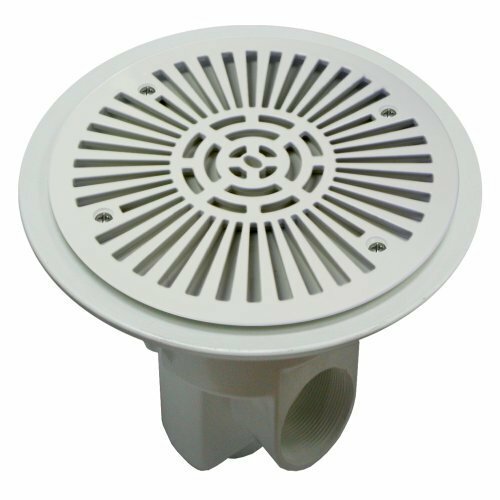 Backed by 5 years of rich industry experience and knowledge, we have been able to manufacture and supply a broad range of Pool Circular Main Drain. Our offered drain is manufactured using high grade raw materials under the guidance of competent professionals. Provided drain is installed in swimming pool to drain out the water. Besides, this Pool Circular Main Drain can be availed from us at pocket friendly prices. Established in the year 2011, at Delhi (India), we “DS Water Technology” hold expertise in Manufacturer and Wholesaler a commendable range of Swimming Pool Equipments, Accessories, Pool furniture, Fountain accessories, Spa Equipments & Chemicals TCCA – 90% (Granular & Tablet) STP Water Treatment Plant, RO Water Treatment Plant, Water Softening Plants,DM Plant and many more to provide our clients with. This offered range is manufactured by making use of premium quality required basic material and components, procured from the established vendors of the industry. Moreover, this offered gamut is designed and developed in complete adherence with the illustrated parameters of the industry, followed by comprehensive R & D. Our product-range holds several attributes such as long service life, resistance against corrosion, excellent performance and high compressive strength. We offer this gamut in different sizes and specifications so as to meet divergent demands of the clients. Furthermore; we hold specialization in providing our clients with the best and suitable customized solutions as per their detailed specifications.